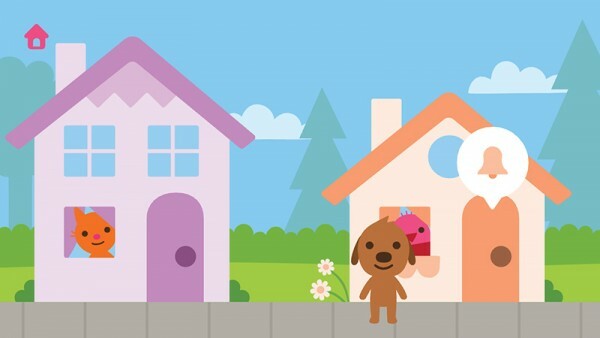 A great iPad app for toddlers and preschoolers, Sago Mini Friends looks innocent at first. Blue Bunny visits Pink Bird’s house, rings the doorbell and goes in to play. They play dress ups with silly hats and glasses, blow bubbles and have a snack. They even help with the washing up, which is when things get messy. Bunny sprays water all over Bird’s head, and the giggling water wars start. Later on the pair drinks too much juice and a hilarious bug-eyed burping battle begins. There are five characters to choose as your avatar, and the colourful gameplay is easy to understand. Kids are encouraged to experiment to discover the potential of different activities, like pulling up the covers at naptime and switching off the light, or what happens when one friend eats all the pizza. 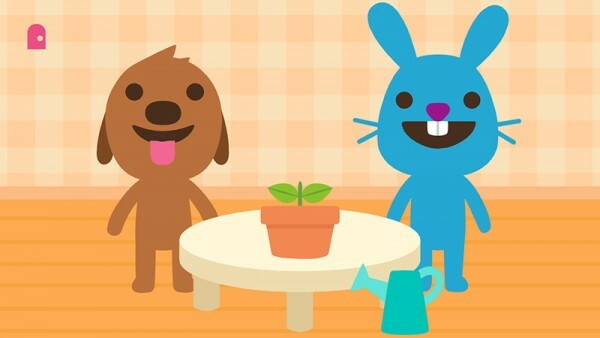 Sago Mini Friends is created by Sago Sago, Canadian maker of mobile apps for kids, and sister studio to Toca Boca whose monster kitchen games are very popular at my house. 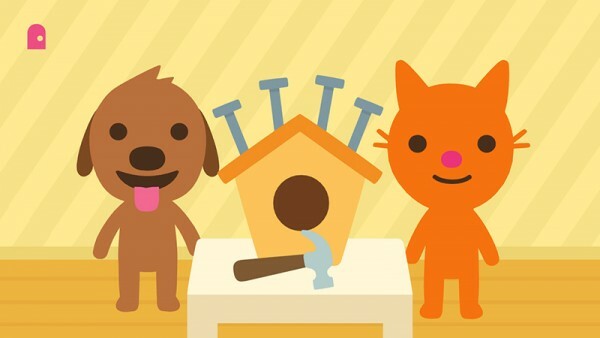 There’s a big family of Sago Sago animals, and the character design lends itself nicely to real life; in fact you can get plushy versions of all the little creatures in Sago Sago apps. Sago Mini Friends is a lovely little game, perfect for three to four-year-olds, and suitable for techy two-year-olds as well. My son played for over an hour today, which means I’ll have the pleasant theme tune tinkling away in my head for the rest of the day, and it also means that the app was a big hit. For the low low price of free, nothing is stopping you getting this game for your iPhone or iPad. Download it at the iTunes store.